This week, we said good-bye to our friends at Parks and Recreation as the series finale aired. Parks and Recreation is a comedy television series centered in the parks department in Pawnee, Indiana. The series stars the amazingly talented Amy Poehler as Leslie Knope, a manager in the Parks and Recreation department, who tackles every local government task with an unending amount of enthusiasm and optimism towards public service and each and every governmental task. She also has a dream of becoming president of the United States – a potentially far-fetched dream, but I believe one that many of those who embark on a career in public service share with her. After realizing local government was the subject for a prime time sitcom, I was immediately drawn to the show during the first season. The episodes tracked major local government issues such as government shut-downs and recalls, as well as reoccurring processes such as budgeting, elections, and town hall meetings. The comedy also showed the passion that can be demonstrated by citizens on local issues. And, that is exactly what the characters in the show did every week…they fixed a problem – though, often, it was an outlandish problem that was fixed in a very funny way. While I enjoyed the humor of the show, local governments across the world fix problems every day. That is what we are supposed to do. Every day, local government officials from the laborers to department directors, and everyone in between, fix problems to make life better for the citizens. As I watched the series finale this evening (after Googling the “Cliffs Notes” version for the past several seasons), Leslie Knope’s character sums up public service in a toast to her former Parks and Recreation teammates, “When we worked here, together, we fought, scratched, and clawed to make people’s lives a tiny bit better. That’s what public services is all about – small incremental change every day.” In Jim Collins work in Good to Great, Leslie’s quote represents the concept of “Turning the Flywheel.” Small, consistent steps taken towards improvement will yield dramatic improvements over time (Tweet This). When you are frustrated by the fighting, clawing, or the tiny tasks – read this quote to remind you that your daily changes will make people’s lives better. Making a difference is all that all of us public servants want (besides being president). PS – While planning your community’s Easter Egg Hunt, watch this clip from Parks and Recreation. You can thank me later. 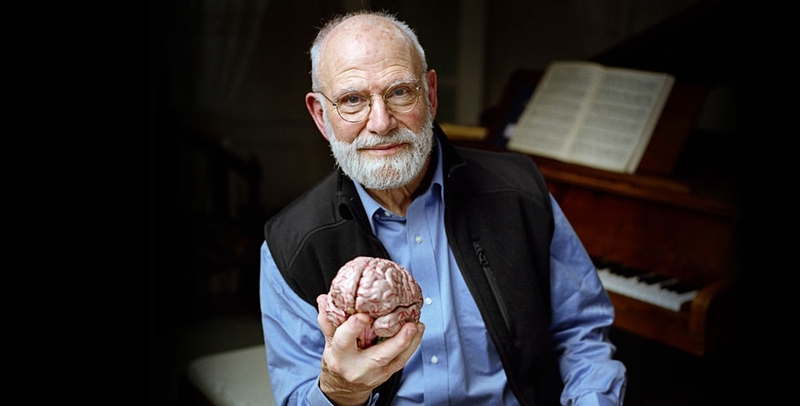 Last week, I was saddened by the news that Dr. Oliver Sacks is suffering from terminal cancer. He wrote this wonderful op-ed for the New York Times, where he discusses his diagnosis and how he is spending his final days. Despite the subject matter of the article, it is an amazingly uplifting piece and I highly recommend reading it. True, work is mostly about survival. For many of us, it isn’t about anything but survival. But most of us spend at least 40 hours per week—sometimes more—at our jobs. If you do the math, that’s 2,080 hours a year (about 87 full days) at work. That’s a huge chunk of our lives. While we all inherently know and understand that working is what we have to do for survival, we aren’t always aware of what spending so much of our time in a miserable job can do to our mental health. 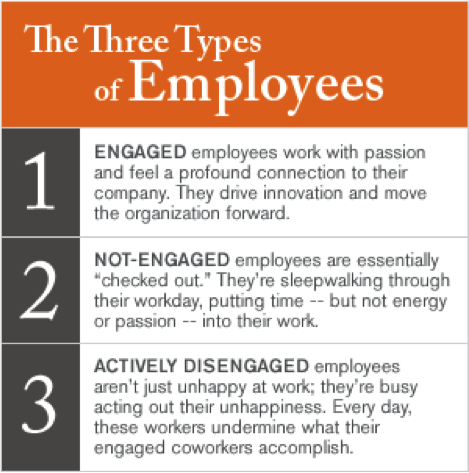 As we learned in Heather’s post yesterday, actively disengaged employees are a huge problem for organizations. The problem isn’t so much that they don’t love what they do, it’s that they drag the organization down and cause productivity and morale problems for the entire staff. They aren’t just bad workers, they are bad for those they work with. I realize that loving one’s job is a luxury, a privilege too many of us don’t have. But none of us should spend such a large portion of our lives laboring with forced smiles plastered across our faces. We need to find opportunities for fulfillment in the places we spend 8 hours or more a day. Even if we don’t love where we go, or what we do, or who we work alongside while we do it, we need to come away from it with our self-respect intact. It is easy for me to understand why Mr. Jaskunas was not hired for that teaching position. He probably wouldn’t have been a good fit and there were probably other, more dedicated and enthusiastic candidates for the job. Maybe the person who was eventually hired loved the job. Or maybe they simply tolerated it until something better came along. Near the end of his op-ed, Dr. Sacks says, “I feel a sudden clear focus and perspective. There is no time for anything inessential. I must focus on myself, my work an d my friends.” When you know your time is limited, it’s easier to focus on only the essential. Maybe we can learn something from this—about the importance of our time and how we spend it throughout our lives and consider the areas where we need improvement. My takeaway from both these articles is this: pay more attention to how you spend your time, in your personal life and at your job. Consider your quality of life. If you have a job or a career you hate, maybe it isn’t for you. You may not ever land your dream job, and you may never find a job that you love, but seek out opportunities to do something that won’t leave you with regrets at the end of your life. There are a multitude of ways to define and measure employee engagement, but for now we’ll continue to explore Gallup’s findings as reported in their State of the Workplace Report 2013. Since 2000, Gallup has asked millions of employees across the globe 12 questions designed to determine employee job satisfaction and its correlation to engagement, known as their Q12. Gallup declares that these are “the best predictors of employee and workgroup performance.” Once analyzed, employees are categorized into 3 distinctions, actively engaged, not engaged, and actively disengaged. In the past seven days, I have received recognition or praise for good work. The mission or purpose of my company makes me feel my job is important. In the past six months, someone at work has talked to me about my progress. In the past year, I have had opportunities at work to learn and grow. Ideally, employees always check “true” but the “false” answers are more revealing. How do you – and your employees – stack up to these simple 12 questions? What else do you think would measure employee engagement? Is there a better way to assess engagement in your specific workplace? In the coming weeks, we’ll dig in more to employee engagement and look at what drives engagement, what barriers your workplace may have, and several other factors that affect engagement in the workplace. I’m looking forward to exploring this critical topic with you! For more insight on employee engagement, from more of a front line employee perspective, please read Muriel Call’s blogs on the 16 Percent. During Sunday’s Austin Marathon, a participant dramatically crawled to the finish line to complete her race. Hyvon Ngetich, a 29 year-old runner from Kenya, led the women’s elite race for the majority of the 26.2 mile race. However, with the finish line in sight, she collapsed. Her body literally hit a wall and she was unable to continue to run. She was offered a wheelchair and declined. She was offered medical assistance and declined. In a marathon, if you are assisted at all, then you would be disqualified. Instead, Ms. Ngetich crawled on her hands and knees to the finish line. As you can see from this video, she shows fierce determination with every movement of her body as she slowly gets closer and closer to the finish. With an outstanding amount of effort, Ms. Ngetich finished third in the women’s marathon – a focused and determined runner. It is during the trying times in our communities that leaders also show this unending focus and determination. An issue, such as a major development project or the annual budget approval, can bring unexpected obstacles at the end of a long review process. It does not matter how many times a leader has checked in with the community or the elected officials along the way; an obstacle at the end can completely derail the entire process. But, when an obstacle presents itself, do not give up on crossing the finish line (Tweet This). You just may need to adjust your method of reaching the finish line. Perhaps, you need to explore some public engagement opportunities to reach to the crux of the conflict. Perhaps, you need to ask that the issue be sent to an advisory committee for further review by different perspectives from the community. Or, perhaps, the issue should be tabled until a different time in the life of the city. For whatever issue is presenting an obstacle in your community, focus your attention on the finish line and how you can get there. Then, with unending determination, crawl your community to the finish. As a leader, it does not matter that you finished first or third, it matters that you finished – with focus and determination. 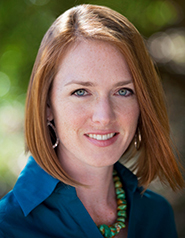 I hope everyone got a chance to read Heather’s awesome blog on employee engagement yesterday. It’s a topic that has been much on my mind the last two weeks (it is a current research topic for me). As Heather mentioned, there is a huge employee disengagement problem going on right now and it has had a profound financial impact on organizations. Even worse, disengagement tends to erode morale, negatively impact team dynamics, and threaten innovation. In my research on this topic, I frequently find references to the book Drive: The Surprising Truth About What Motivates Us by Daniel Pink. Drive looks at what motivates us to be high performers and achievers; it isn’t what you’d think. According to the sociological experiments cited in the book, higher pay isn’t the great motivator it is thought to be. In fact, for tasks that demanded a higher level of cognitive skill, higher pay produced a poorer performance. Who knew?? Pink lists basic things we need: autonomy, mastery, and purpose. Whether at home or at work, we need these things to stay motivated—to feel in control of our own lives, to create and learn new things, and to feel that we are making a difference in the world. This is a spot-on assessment, at least in my experience. Have you known people who were never satisfied for long with any job, even jobs that provided many opportunities for professional growth and development, even if they liked the job and their co-workers, and even if they had a decent salary, because they wanted, but didn’t necessarily need, a higher salary? For many of us, money is the only measure of success and we think it is what we need to be happy. I’ve known people to go from job to job in search of ever more money because that was the only need they focused on, at the expense of their other needs. No matter how much we feel our skills are worth, sometimes a job that meets those three basic needs Pink mentions is where we will be the happiest, most productive, and most engaged, and where we will find the type of contentment that money can’t buy. This being said, I will freely admit that the need for autonomy is sometimes the most difficult need to meet. I have spent the last decade and a half working in libraries—a field that offers many opportunities to learn and endless intellectual rewards but few financial ones (I know you thought librarians were in it for the money, right??). What made me stay in those jobs where I barely made enough to cover rent was my dedication to the overall mission of libraries and my desire to make a difference in the lives of others. However, I have had to turn down a few jobs that I felt I would have loved because they didn’t pay the minimum I needed to support myself. This almost certainly would have ended up making me not love those jobs eventually. Being adequately compensated is a must before you can focus on your other needs. Mastery and purpose come more easily if a) you are compensated with what you need to take care of yourself and your family and b) you have a leader who will help you meet these needs by providing opportunities for growth and learning and who will instill a real sense of the organization’s mission. These needs have been easier for me to meet, typically. Even in jobs I didn’t like, I still felt driven to acquire and master new skills and was always driven to do the work in a way that would cause me no regrets down the road. My purpose in any job is always tied to my own personal goals of doing my best and learning new things, whenever possible. But with bad leadership, it’s difficult to maintain a high level of engagement, no matter your personal work ethic because your basic needs won’t be met. If you have a leader who can help you align your personal goals with the overall mission of the organization, as well as encourage you to hone your skills, you’ll find yourself not only engaged at a high level, but performing at a high level. This is huge, managers. Employee engagement – which correlates to involvement, commitment and productivity – relies on your positive approach to your employees. We’ll unpack this more in coming weeks. 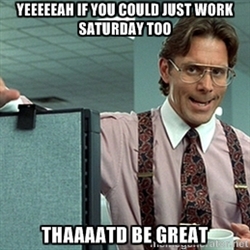 Other research states that “happy” people get more work done. And it’s of better quality. Managers, please listen: your employees will be more successful in their goals and assignments from you if they are happy. We know that You cannot make your employees “happy,” so they must choose and pursue that for themselves! But there are some things you can do. First, be an example yourself. How are you perceived by your employees and co-workers? Consider asking one who you trust. Prepare yourself to be humbled. After your assessment of your personal state of the workplace, imagine what you’d like your home away from home to be like. For you, what would the ideal workplace look like, sound like, and feel like? (Tweet This) If it’s within your power, make those changes! Knock down walls, literally and figuratively! 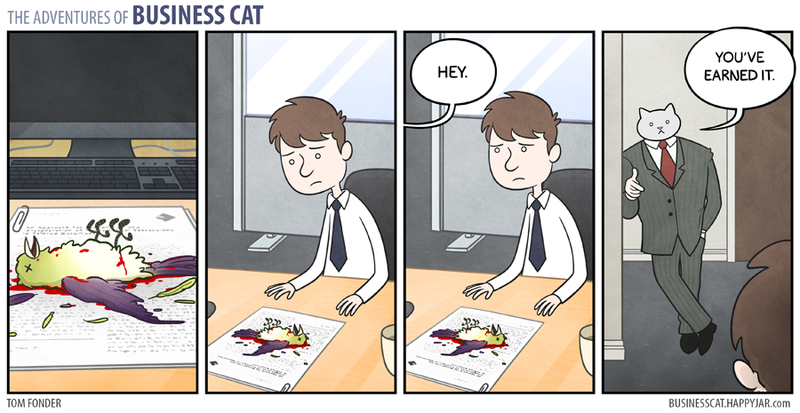 Lastly, don’t give up on pursuing a happier workplace when things don’t turn around immediately or obstacles are met. I hear all too often, “yeah, if Upper Management/Council/my Boss would do xyz, then we’d be able to be happier.” Lead from where You are. You’ll have more impact than you know. Rhetoric is… a good man speaking well. It’s ancient wisdom. If the task is to communicate, then the one communicating needs to be believable. It is pretty much a requirement in the persuasion arena. This “believability” is connected to “ethos,” referring to the “character of the speaker; credibility” Aristotle included it as one of his three primary means of persuasion (along with logos, and pathos). The current Brian Williams saga is a pretty clear example of what happens when a person who is perceived to be credible — (credible = competent, honest, trustworthy) – loses such credibility. It seems that one of our tasks is to aim to do so less and less. So, back to Brian Williams. His problem is obvious – journalists are expected to be truthful and trustworthy. It’s part of their “job description.” One task of a good journalist is to find out when others are not being honest. If the journalist is dishonest himself/herself, it is a long slog back to credibility. Yes, it is possible to regain that credibility – to earn it back. For example, Nina Totenberg was famously fired for plagiarism early in her career. Her later reflection is a classic: “I have a strong feeling that a young reporter is entitled to one mistake and to have the holy bejeezus scared out of her to never do it again.” (Read about this here). Diogenes the Cynic, lamp in hand under dazzling sunshine, patrolled the agora for evidence of one honest man. He found a bunch of guys who said they fit the bill, which is how he knew they didn’t. This week, NBC’s Nightly News anchor Brian Williams was suspended without pay for six months for misrepresenting a military incident that occurred when he was reporting overseas. He reported, and confirmed in other venues on multiple occasions, that he was part of a convoy of military helicopters forced to land in the desert of Iraq in 2003. He elaborated in detail that the helicopter in which he had been a passenger was hit by enemy fire and was forced down. Veterans from the incident challenged his recollections and Mr. Williams recanted the story earlier this week. He then voluntarily took a leave of absence for a few days prior to the decision from NBC regarding his suspension. Whether or not you believe the suspension was with merit or that his actions constituted misconduct, the bottom line is that he has lost the trust of those whom he serves. His journalistic career currently spans thirty-four years, twenty-two of which are with NBC. It is hard to believe that his entire career and professional reputation could be subject to a misrepresentation in a single story (though told a number of times). However, that is all it takes to lose your integrity. Since my entire knowledge of how a news room operates is derived from watching the HBO television series Newsroom, I am not going to predict whether Brian Williams will return as anchor of Nightly News after his suspension is completed. However, I do know that leaders of governmental organizations and news rooms have something in common – if you lose the trust of those you serve, you cannot be an effective leader (Tweet This). While the concept of losing the trust of your organization and/or you community seems like something that could never happen, it can happen with one mistake, small or large. Each day, you need to ensure that as the leader of the organization you are being clear and truthful – the whole truth – in your communication. Trust takes good connections upon good connections to build, but only one bad connection to erode all of the good. Continue to build the trust of those you serve – one good, honest connection at a time (Tweet This). 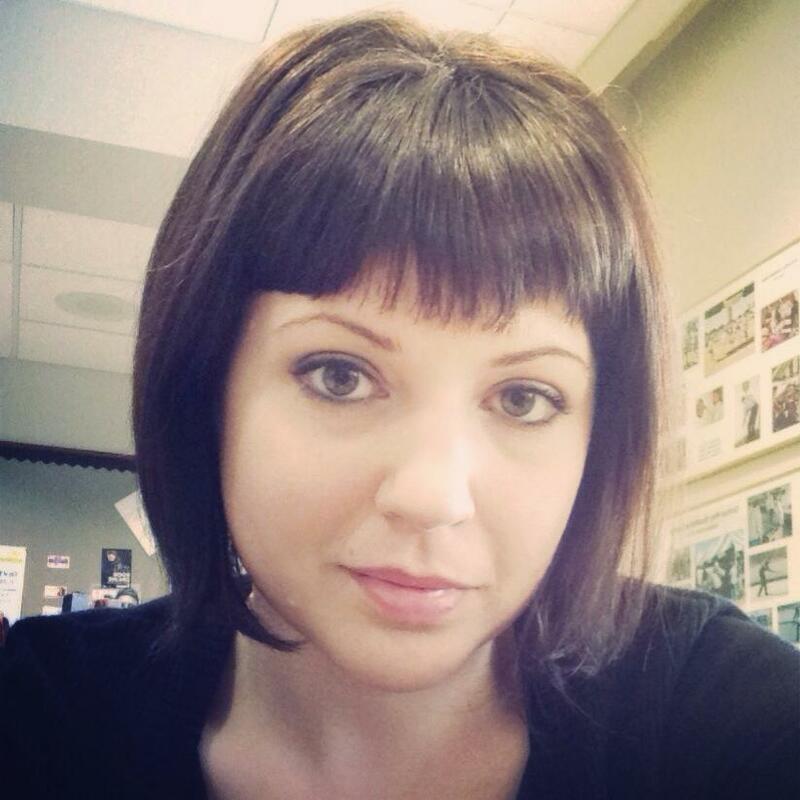 Allow us to introduce to you The 16 Percent’s newest blogger—SGR’s own Muriel Call. Muriel joined SGR in December 2014 as a Research Assistant and is currently the Research Coordinator. Before joining SGR, Muriel was on the Library Staff for the City of Southlake, Texas. She has 15 years of experience working in the library and information science field in academic, public, and special libraries. She earned a BA in English and a Master’s degree in Library and Information Science, both from Louisiana State University. We’ve all had bad jobs. And maybe jobs that could have been great if the management hadn’t been so terrible. I’ve found myself in the latter situation at several points in my career and there’s nothing more frustrating. Everyone wants to feel that the person who hired them is just as grateful to be working with them as they are to have the job—but, in many cases, you may be made to feel that you are lucky you were even hired in the first place and that you could easily be replaced. When I’ve worked for organizations with this kind of leadership, I didn’t stay with them for very long because a) I couldn’t see a future for myself in the organization and b) the low morale problem with the rest of the staff; these weren’t happy places to work. Have you ever worked under “insecure leadership”? I have, and I can tell you, there was a great deal of frustration because I felt I had no voice, no agency—that I wasn’t really a part of the organization. 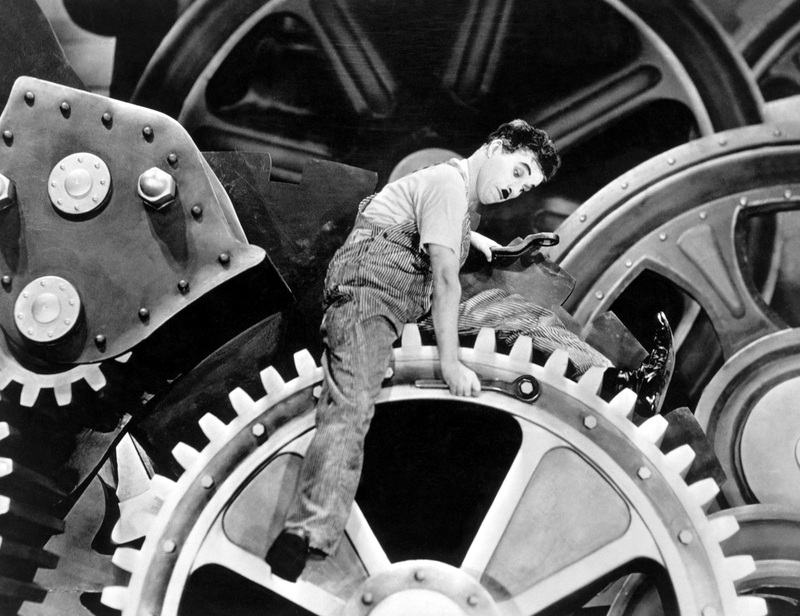 I felt like little more than a cog in a huge, inanimate machine. My years of knowledge and experience weren’t valued and when I was able to express an idea for making a process more efficient or implementing a new way to increase productivity, management would use the idea and not give me credit or any sort of acknowledgement for it. Insecure managers aren’t good at recognizing the strengths in others or, worse, feel intimidated by them when they do recognize them. I have worked under managers who did these very things—one manager even made her employees cry on several occasions! These types of managers never seem to realize that they won’t get the best from their employees by these methods. I have to confess, I never thought much about leadership before I came to work for SGR. I could definitely tell the difference between a bad boss and a good boss but never considered what it takes to be an effective leader, and what constitutes the difference between a “leader” and a “manager.” Now I know the positive effects that great leadership can have on both one’s personal and professional outlook. Most managers just want to maintain an even keel. They want to get things done but so many rarely strive to achieve more than the minimum required. The goal is to float along with the current and try not to sink; they’d rather no one rock the boat, even if there’s potential for great success. Or maybe they micromanage to the point that innovation is completely stifled. That’s why they are managers and not leaders; they manage and maintain mediocrity, they don’t make sincere efforts to go beyond functioning at a basic level. When this is the culture, it’s often a systemic problem and the entire organization may be in need of “rehab” to fix the problem. An environment in which there is a high level of trust amongst staff. While a bad manager will often pit employees against one another or take sides, a good leader will find ways to build trust with employees so that there is a real sense that you are functioning as a team. You will achieve so much more if you work as a team. An environment in which to flourish and grow. A good leader will recognize your strengths and utilize them to achieve goals and set new goals. For me, this means being given opportunities to learn, be creative, and challenge myself intellectually. You may require different things, but the point is, a good leader will help you meet these needs. There are incentives for leaders to do this. As a recent Harvard Business Review article pointed out, “…identifying and capitalizing on each person’s uniqueness saves time. No employee, however talented, is perfectly well-rounded.” Time is much better spent focusing on natural abilities. The article also says that, “capitalizing on uniqueness makes each person more accountable.” By challenging an employee to make their natural abilities the cornerstone of their contribution to the organization, they take ownership of their skills and can practice and refine them. Acknowledgement. Raises, promotions, and other rewards are great when you get them but even just a kind word from management when you’ve put time and effort into a project makes a huge difference in staff morale. It makes you feel that the work you do is acknowledged and appreciated. A great leader will give you these things. Organizations with strong leadership aren’t like inanimate machines, they are living, breathing entities that grow and change with time and that allow you to grow and change as an employee (Tweet This). It took a major career change for me to find a work environment that provided me with job satisfaction, engagement, and the opportunity to learn and hone new skills. Consider your own job satisfaction checklist and determine if your leadership is helping or hindering you in meeting your goals.